2009 TOYOTA HIGHLANDER LIMITED V6 !! LIKE NEW IN AND OUT!! FANTASTIC CAR FAX SERVICE!! AWD, JBL SOUND, HEATED LEATHER, 3RD ROW SEATING, REMOTE START, WHEELS AND STEP RAILS!! SHARP! 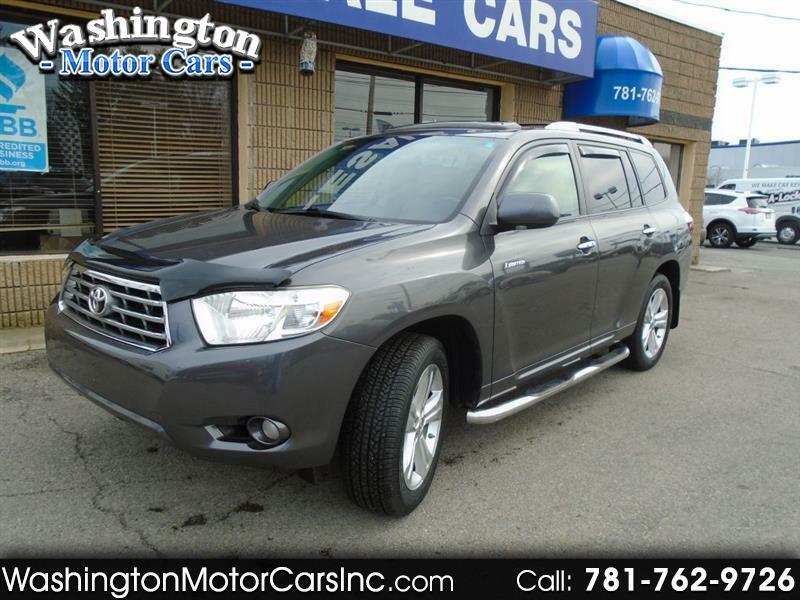 !The 2009 Toyota Highlander is one of the best three-row SUVs you can buy because of its practicality. The Highlander's fuel economy from its new-for-2009 four-cylinder engine is fantastic, with an EPA rating of 20/27 mpg city/highway on two-wheel drive models, and its V6 engine is plenty powerful, according to reviewers. They also praised its comfortable ride. The Highlander also has a good safety score. Reviewers appreciated the Highlander's high-quality cabin and flexible seating arrangement. The 2009 Toyota Highlander ranking is based on its score within the 2009 Affordable Midsize SUVs category. Currently the Toyota Highlander has a score of 8.9 out of 10 Oon U.S. News Reports. WashingtonMotorCars.com has sold 1000's of vehicles in Norwood,to the public,since 1988. We have earned an A+ Better Business Bureau Rating* and have been Riding With You Every Mile' for 30 years in Norwood Ma.Free vehicle history report! !We stand behind all of our vehicles! Before being sold, every vehicle is thoroughly inspected and serviced for quality and safety. We are a small, family-owned dealership that has been in business for over 30 years and our customers always receive the personal attention they deserve.